It’s been two months since I last blogged but it’s not because I haven’t been busy. Between a hectic workweek in the Bay Area and weekends filled driving to and adventuring in the Sierra I haven’t had a chance to blog. This post will serve as a summary of recent trips with links to full iphone photo albums. I might blog on some of these adventures in the future. I actually brought my dedicated camera on all these trips and took just as many photos with the camera (if not more) but haven’t had a chance to go through the thousands (literally) of photos yet so all photos in the albums and below are from the iPhone. The good news is the iPhone photo quality has improved to the point that resolution is satisfactory for mobile device or computer screen viewing and it’s just so much easier for me to get photos up quickly (images below are lower resolution; ask me if interested in higher resolution). By using both the iPhone and a dedicated camera this also meant that I spent twice as much time doing photography as I used to, which was already a lot! 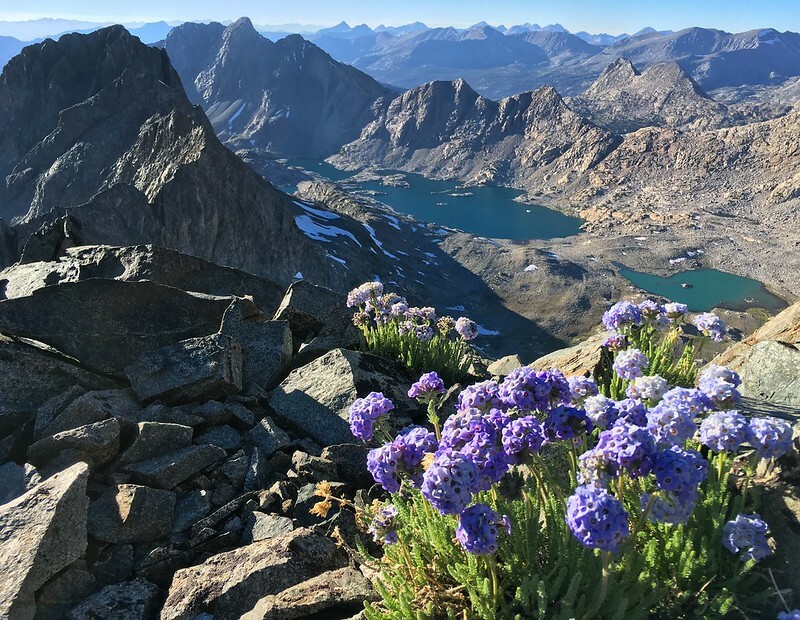 Tablelands, Big Bird Peak, Alta Peak (June 18th): An early season trip across the Tablelands to Big Bird Peak which has a fantastic view of the Great Western Divide, the Valhalla, and Big Bird Lake. On the way back I stopped by the gorgeous Moose Lake which still had some floating icebergs and continued up and over the Alta Peak massif. 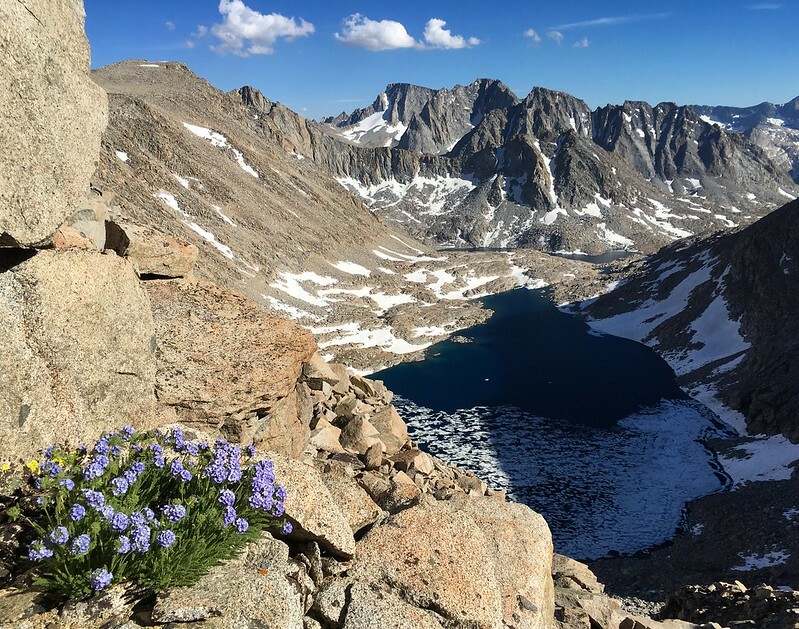 Monarch Divide and Granite Lake (June 19th): A hike up to Granite Basin, Granite Pass and up the Monarch Divide to a balcony overlooking Granite Lake on one side and Volcanic Lakes basin on the other. 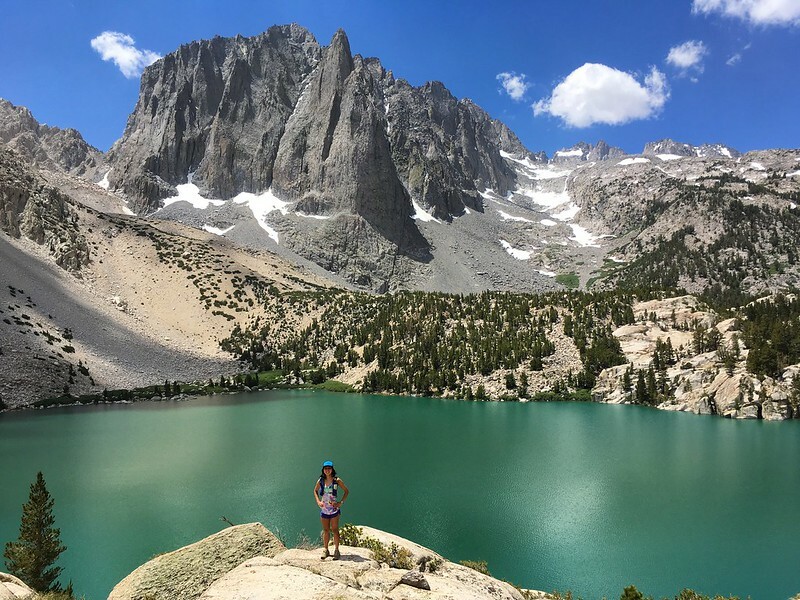 Mammoth to North Lake (June 25-26th): A two day fastpack from Mammoth Lakes to North Lake via the Sierra High Route including Mammoth Crest, Shout of Relief Pass, Bighorn Pass, Gabbot Pass, White Bear Pass, Feather Pass and Puppet Pass. 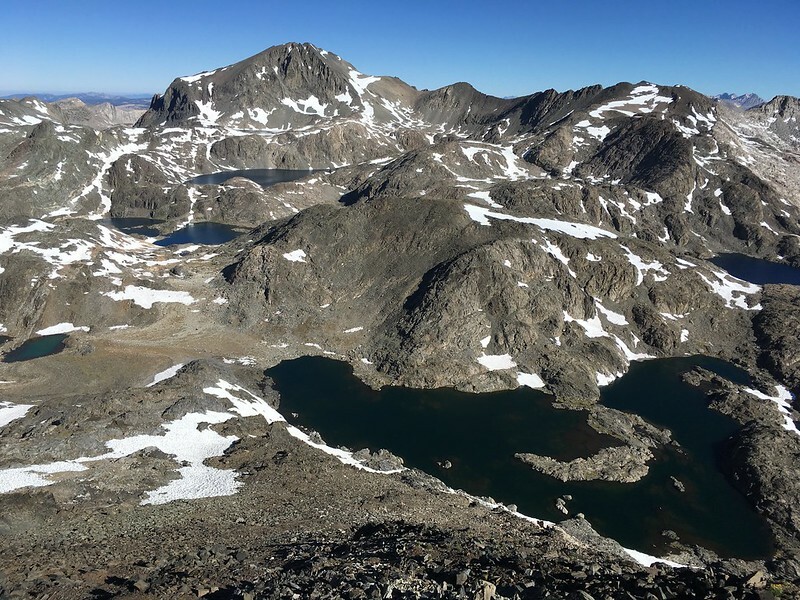 The trip also included a climb of Feather Peak, my second time on this outstanding summit. 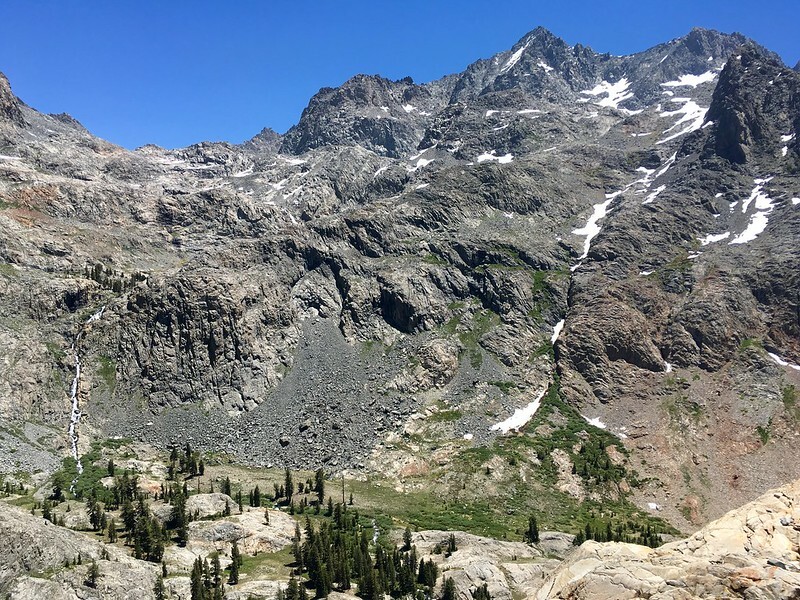 North Fork Big Pine (July 2nd): A trip with Erica up the North Fork Big Pine to the foot of the Palisade Glacier including stops at first, second and third lakes and Sam Mack Meadows. 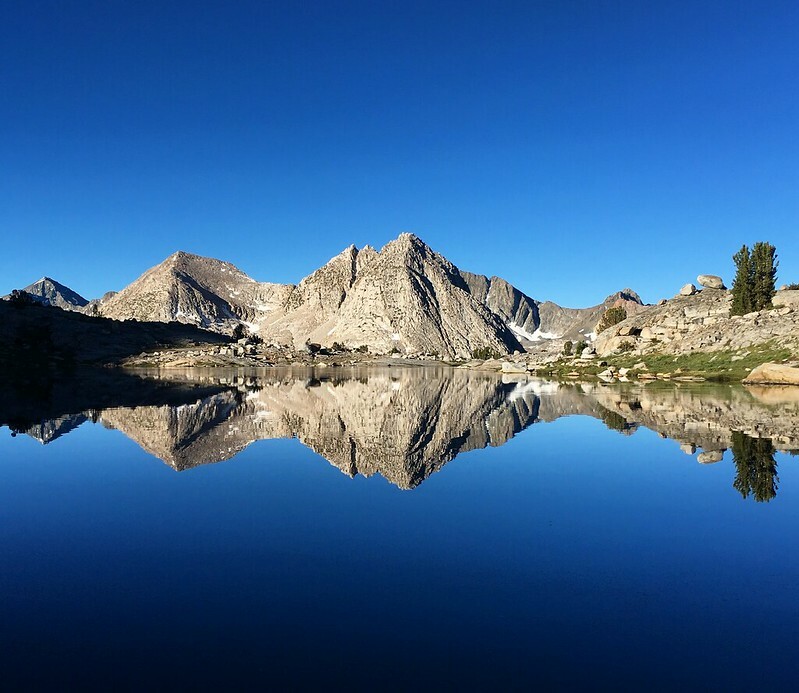 The turquoise waters of Second Lake are some of the most beautiful in the Sierra. 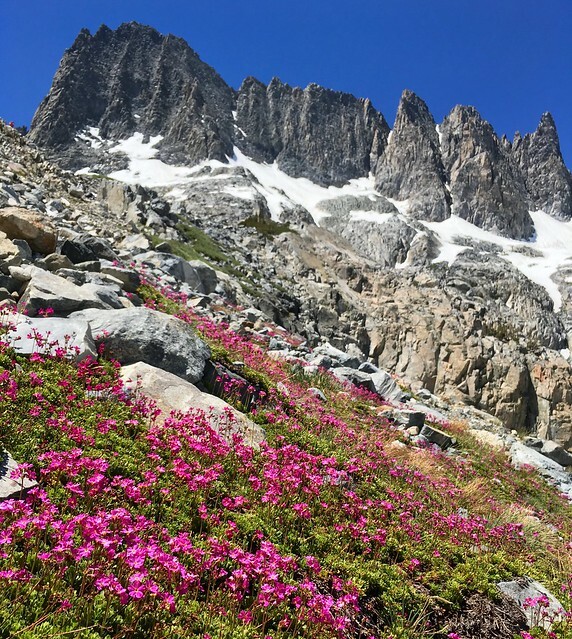 SHR Ansel Adams (July 3rd): A tour of the Sierra High Route from Devils Postpile to Thousand Island Lake and back to Agnew Meadows via the River Trail. 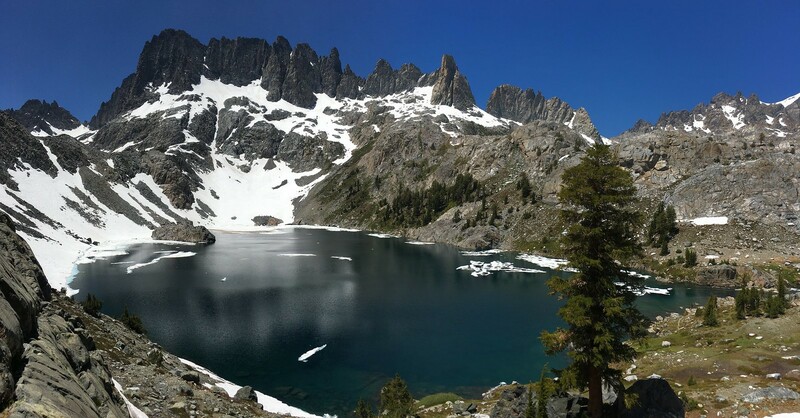 The trio of lakes beneath the Minarets are always a favorite spot to visit! 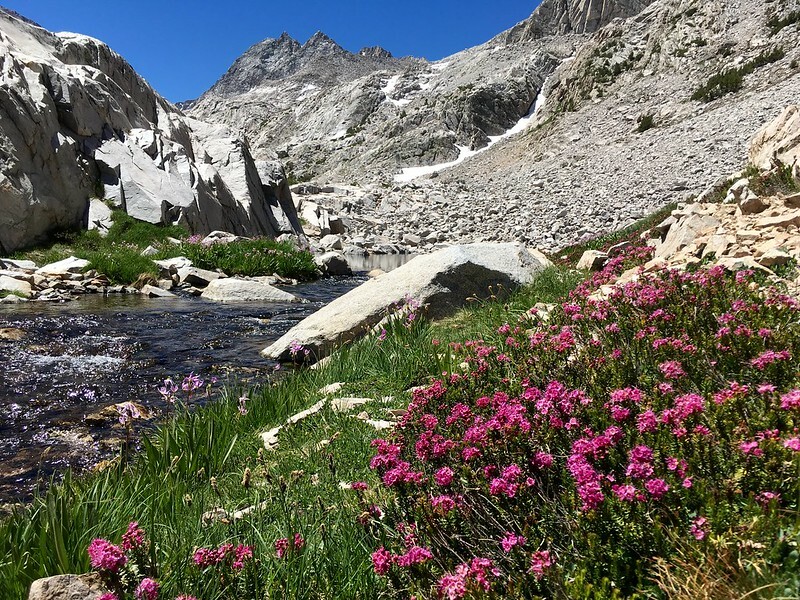 SHR Headwaters (July 4th): From Agnew Meadows to Tuolumne Meadows the long way up and over North Glacier Pass and into the stunning cirque beneath Mount Ritter that forms the headwaters of the North Fork San Joaquin River. 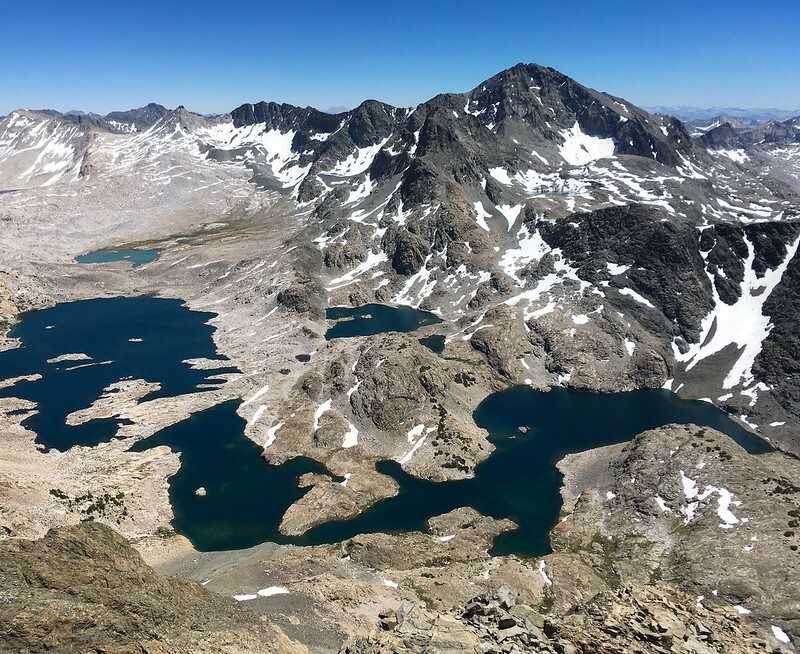 The route passes by beautiful Twin Island Lakes and Blue Lake on the way to Blue Lake Pass. 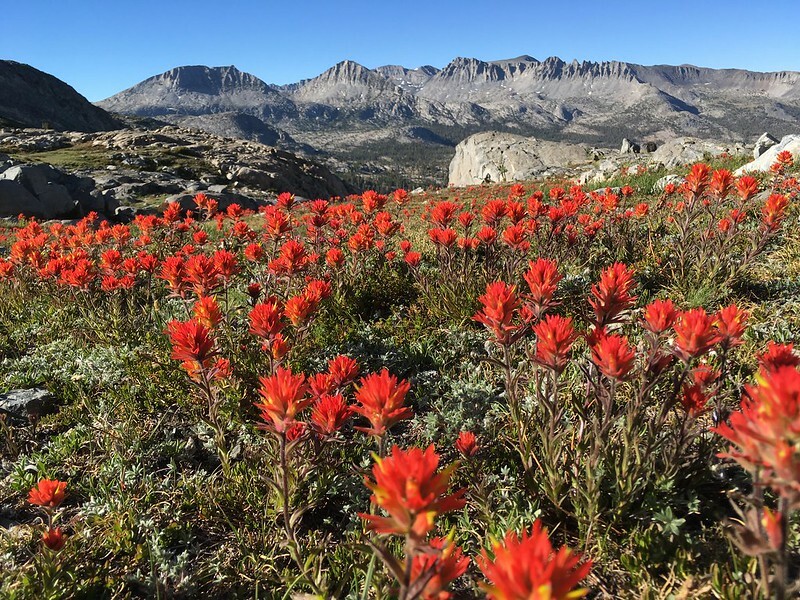 Unfortunately the back half of the route on the Isberg Pass and Rafferty Creek Trails to Tuolumne Meadows is a relatively mundane stretch of many miles. 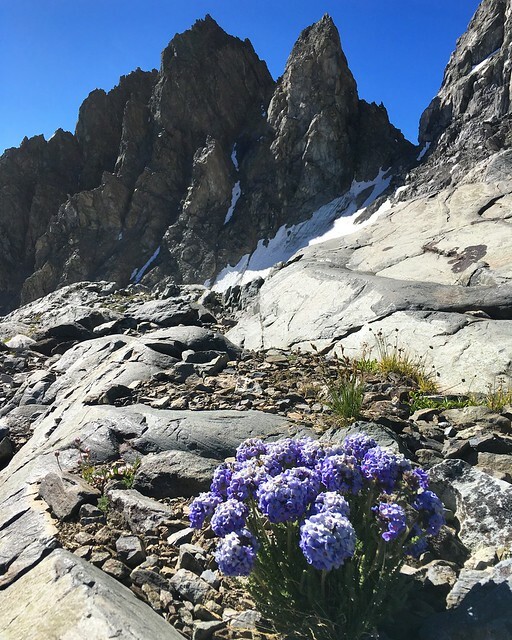 Mount Farquhar (July 9th): A jaunt up Sphinx Creek to a mountain that has always piqued my interest when passing by. 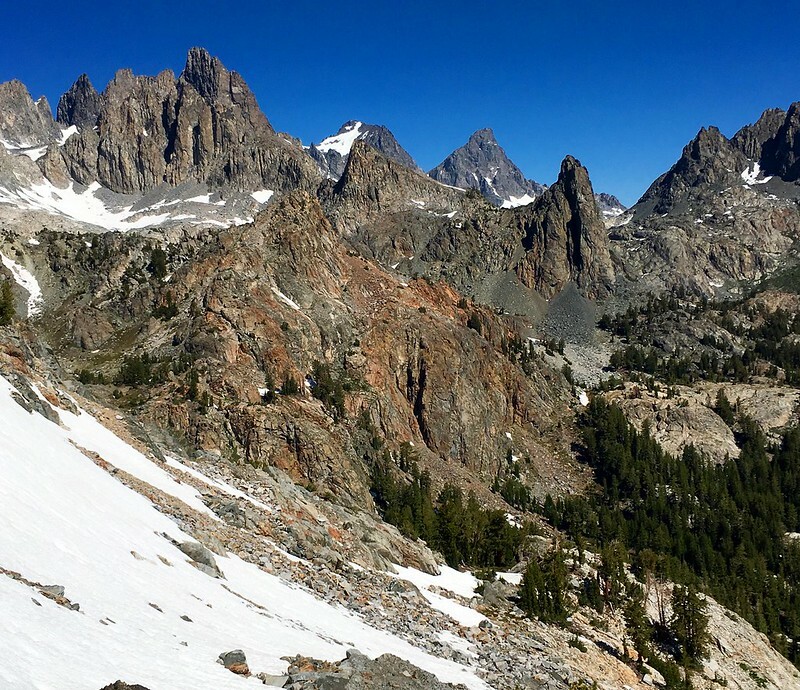 The scramble route up the main gully to the summit is super fun and the afternoon views of the impressive north face of North Guard Peak are even better. 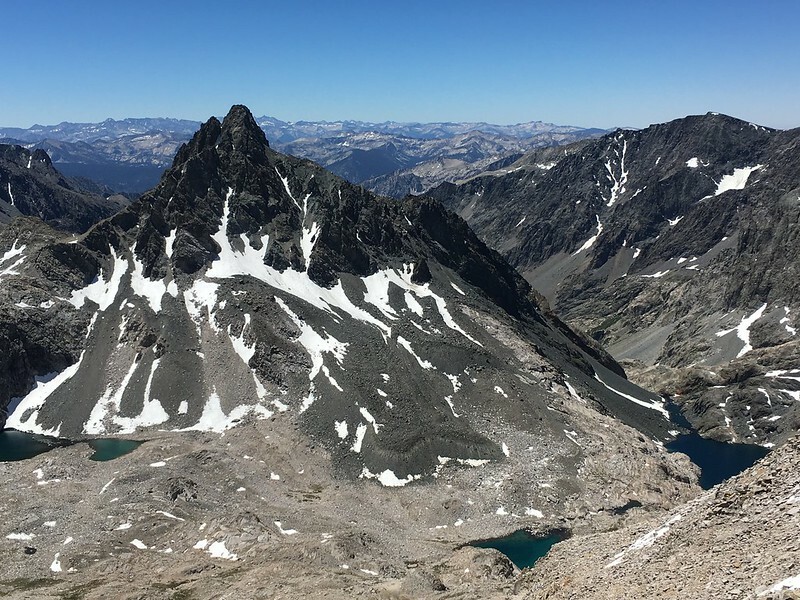 Deerhorn Mountain (July 10th): Another mountain that has always drawn interest, particularly from the vicinity of Bullfrog Lake and Mount Rixford. 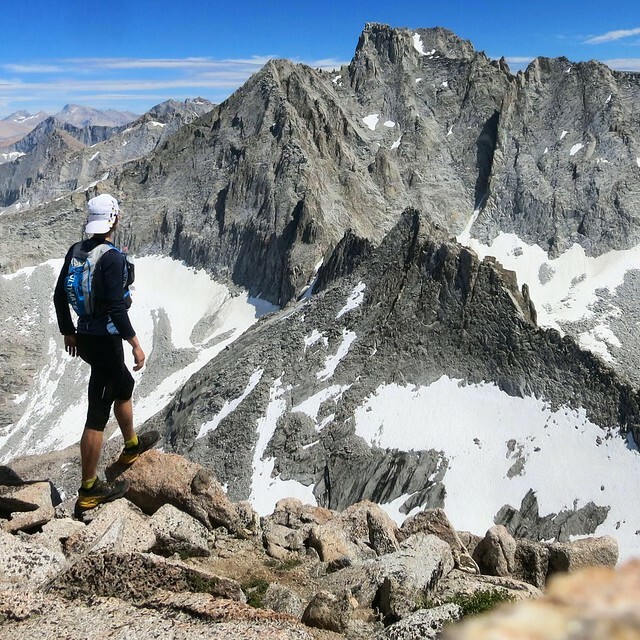 Deerhorn is a beautiful mountain and I found the scramble to be enjoyable. 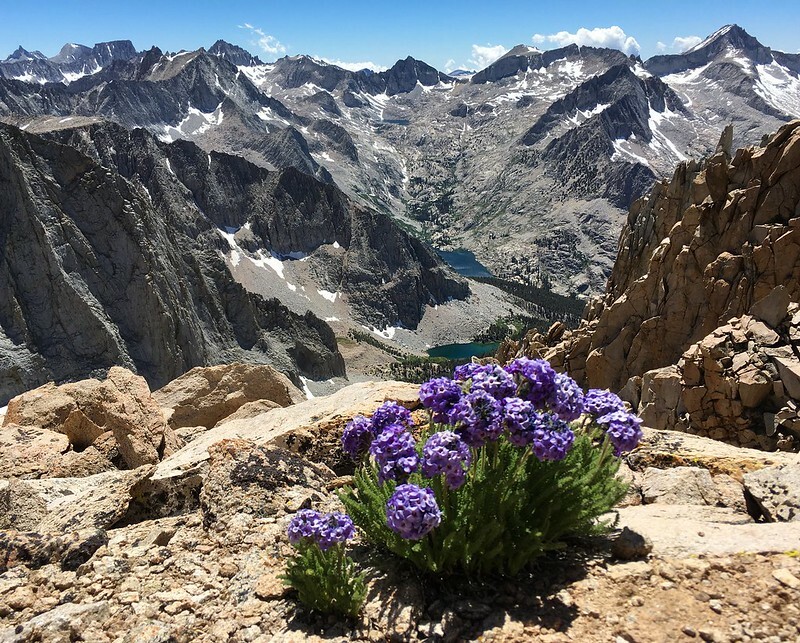 The views from the top are tremendous as the mountain is centrally located for an excellent vantage of the Kings-Kern Divide and Great Western Divide. 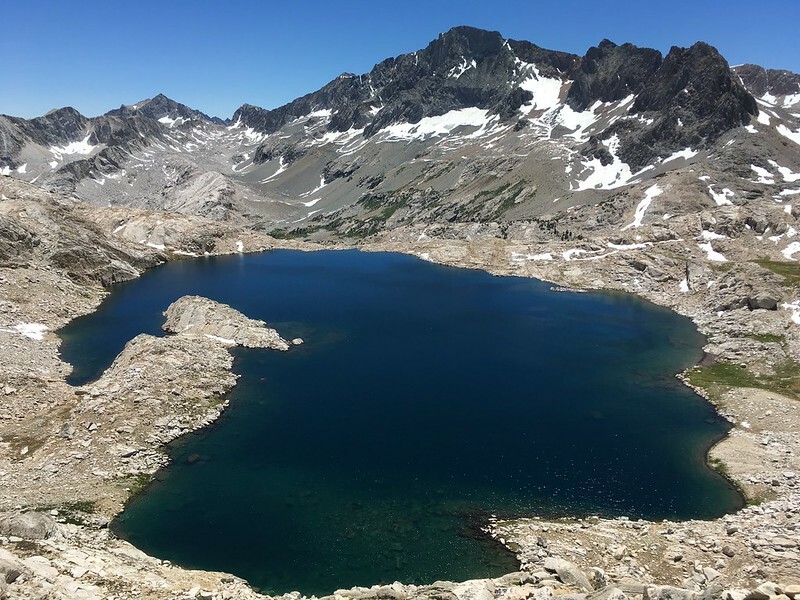 I also really enjoyed the Vidette Lakes. Evolution-Ionian Loop (July 16-18th): A 2.5 day tour through the Evolution and Ionian Regions including summits of Muriel, Goethe, Spencer, McGee, Hansen, Scylla and Solomons. Day 1 Photo Album: Late start at 1:30 pm from Sabrina but still time for Muriel and Goethe on the first day. Muriel might be lower than surrounding peaks but it has a great view of Mount Darwin and Mendel. The traverse from Muriel to Goethe is a fun bit of scrambling and evening light descending the slopes of Goethe to Darwin Bench was amazing. 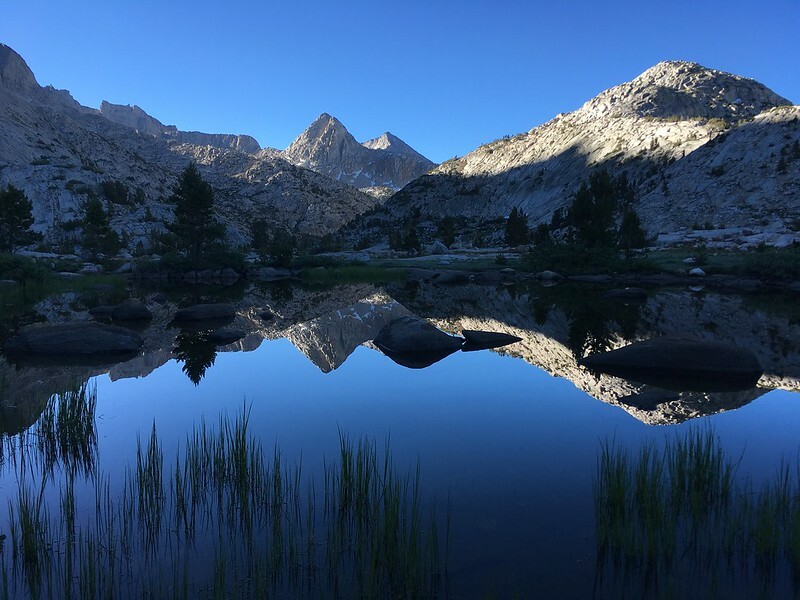 Day 2 Photo Album: Day 2 started at Darwin Bench with a field of lupine and a great reflection. 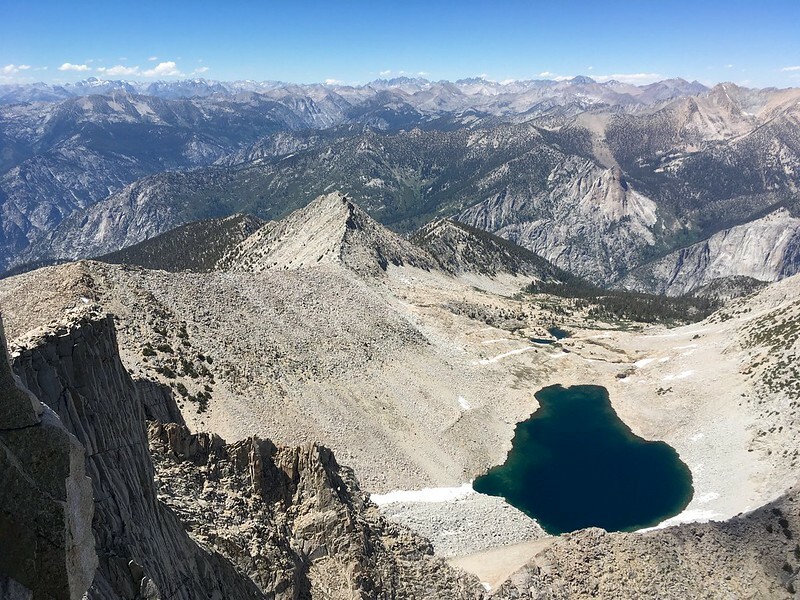 The summit of Mount Spencer is well worth the ~1500 ft climb from Sapphire Lake (JMT) with a wonderful 360 degree view of Evolution Basin owing to its centralized location. The afternoon destination was Mount McGee which has piqued my interest each time I’ve been in the region. 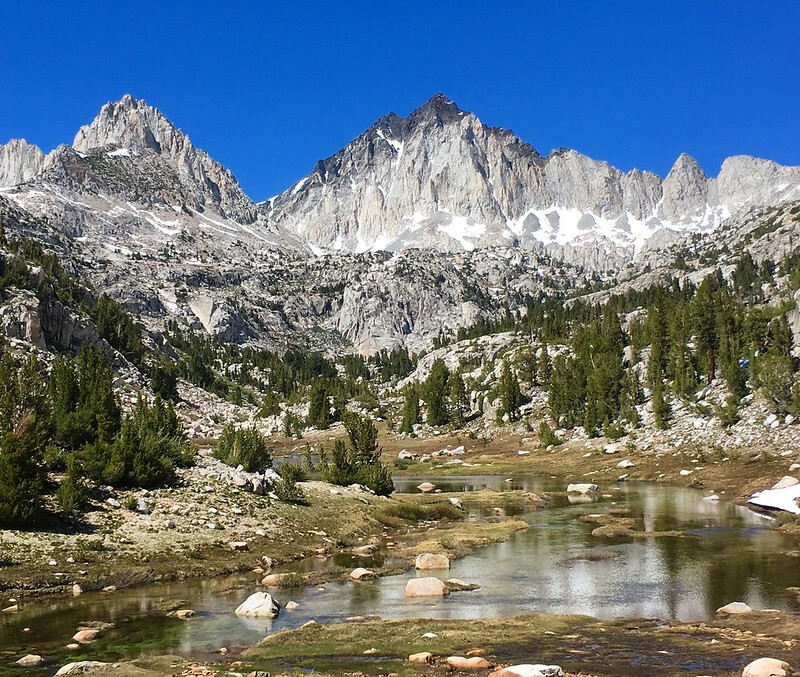 The route up McGee included passage through the lovely Davis Lakes, which turned out to be the biggest surprise of the trip in terms of exceeding expectations. 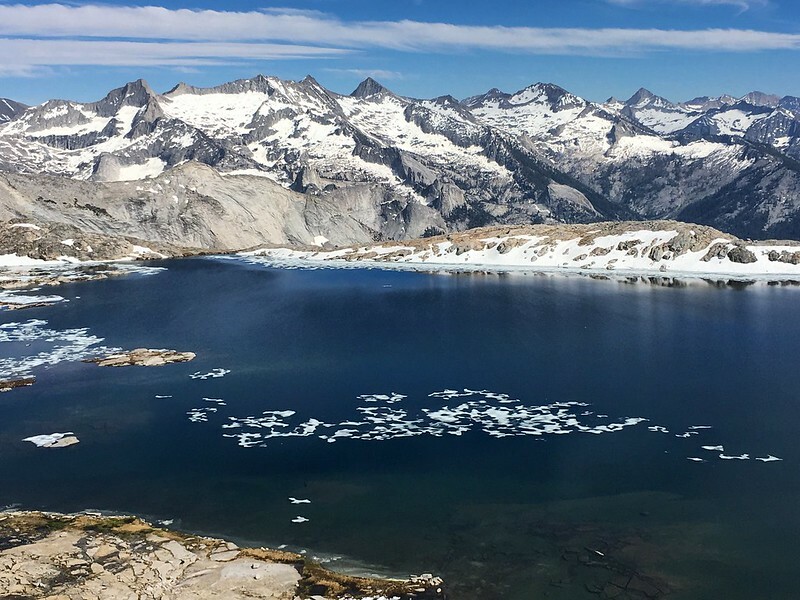 The uppermost Davis Lake has mineral sedimentation creating a wonderful turquoise color but the real treat was the lowest Davis Lake which takes on the appearance of a fjord as at twists and turns between rocky buttress. 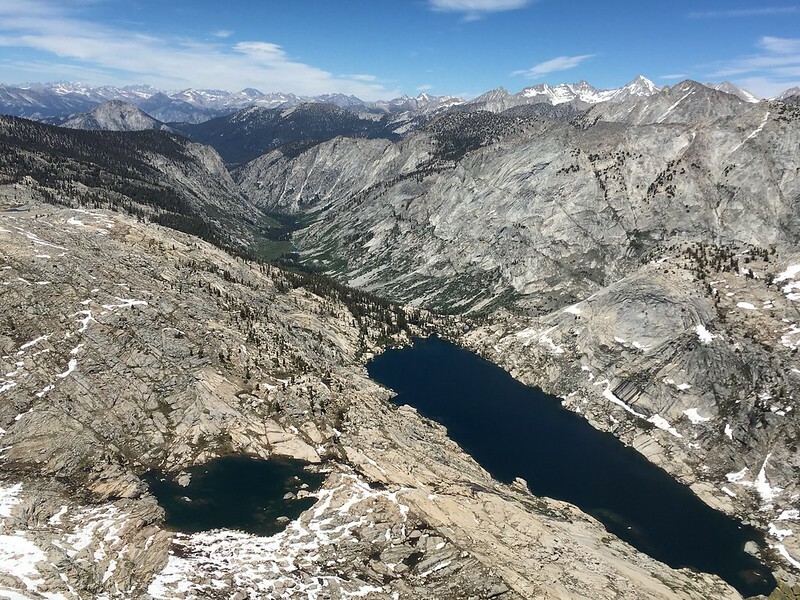 The climb of Mount McGee is a bit of a grind but the view from the summit is one of the best I’ve seen with an aerial view looking down at the Davis Lakes immediately below with the Goddard Divide creating a rugged background. 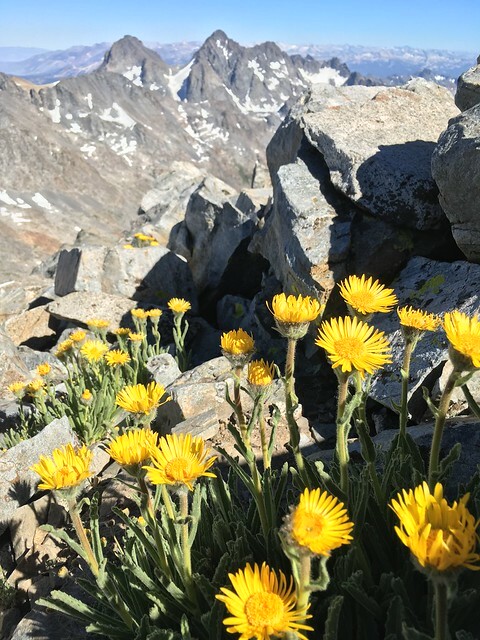 After enjoying the Davis Lakes one more time I took Starr’s route over the Goddard Divide and had lovely evening views from the crest of the divide before descending into Ionian Basin for the night. Day 3 Photo Album: The day started with wonderful views from Scylla and Hansen and then a beautiful walk through the Ionian Basin to Mount Solomons. 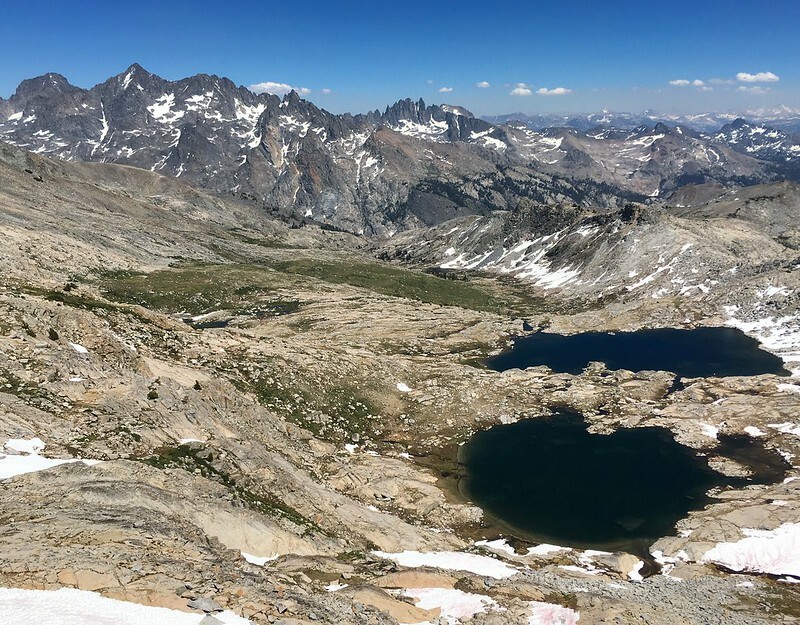 Solomons provides a great vantage of Charybdis and the Sierra Crest in the vicinity of Muir Pass. From Solomons I went directly down to Muir Pass (staying off steep snow since I had no traction device) and then up to Echo Col for more great views of lake 11428 and Black Giant. The end of the route took me through Sabrina Basin. 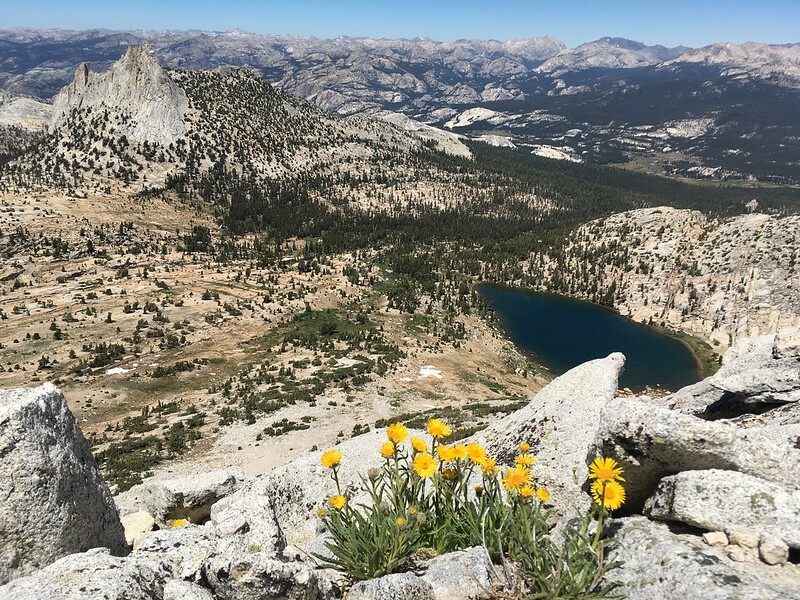 Rodgers Peak (July 23rd): The afternoon views from Rodgers Peak were swell, but the wildflower meadows on the way down (above Rodgers Lake) were stunning; possibly the best display I’ve seen in the Sierra. 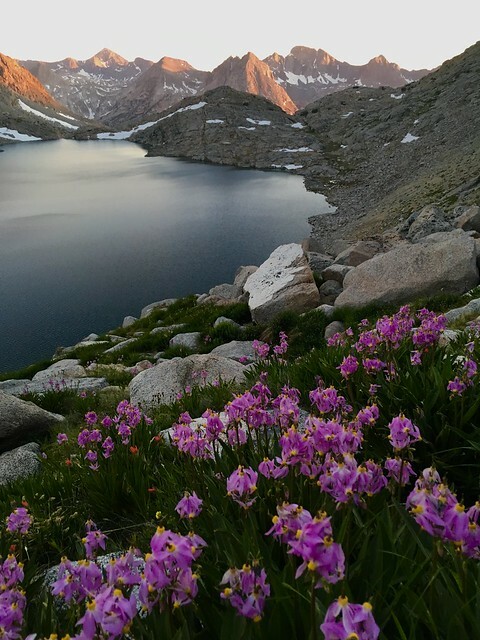 Having summited Rodgers Peak a couple years ago, I knew the best light would be in the afternoon so I got a late start from the Rush Creek trailhead (after the 5 hour drive from the Bay Area) and almost suffocated from the heat before even arriving at Gem Lake! 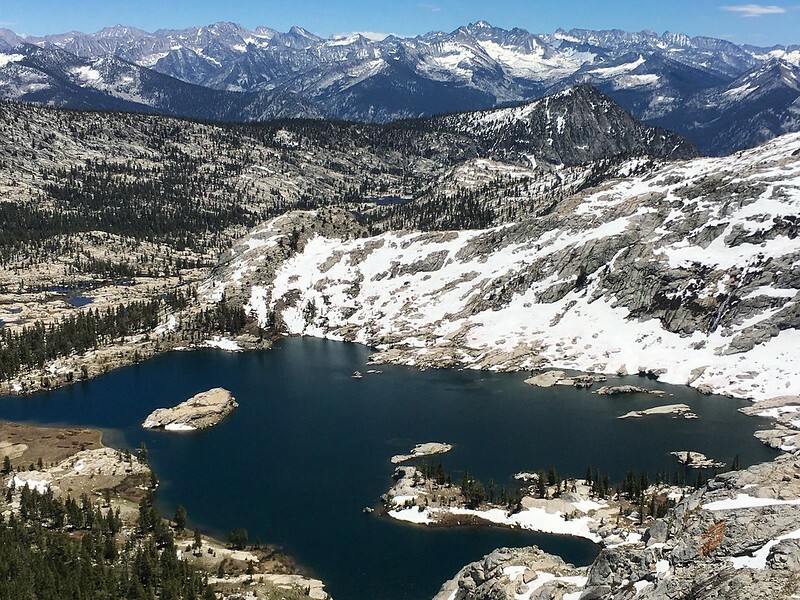 Rodgers Peak provides outstanding views since it sits a triple point of the Ritter Range, Cathedral Range and the ridge trending SW to Electra and Foerster that separates the Merced and San Joaquin drainages. 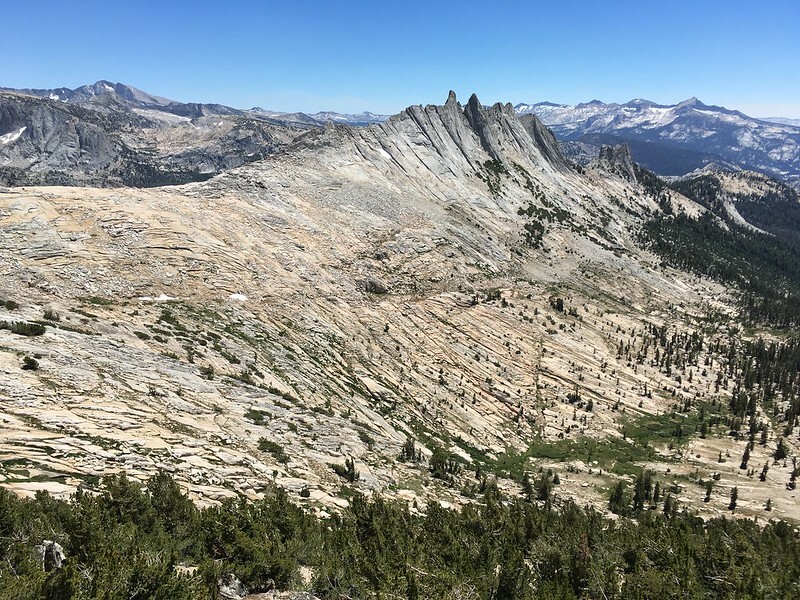 Echo Peaks (July 24th): A short trip up from Tuolumne Meadows but high rewards with excellent vistas of Cathedral Peak, Matthes Crest, Mount Lyell, Mount Maclure, Mount Florence and the Clark Range. To the north we could see Mount Conness, Matterhorn Peak, Tower Peak and a myriad of other peaks and domes in northern Yosemite. Eager for a more in depth post on the Evolution-Ionian loop. Did you create this route? How much of it is off-trail? Yes, I created this particular route and selected the peaks to climb based on interest and the fact I hadn’t done them before. It was mostly off-trail.